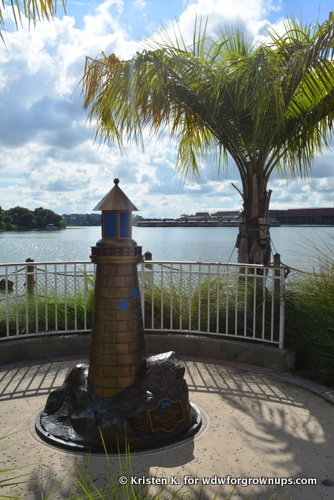 Nestled amongst swaying palms on the shore of Disney's Grand Floridian Resort & Spa, attentive guests will come across a charming blue and gold lighthouse with two blue stars statue. A lovely piece of art, the only clue to the reason for its presence is a plaque saying "Presented by The Lane Thomas Foundation, A Beacon of Hope, A Light of Love." 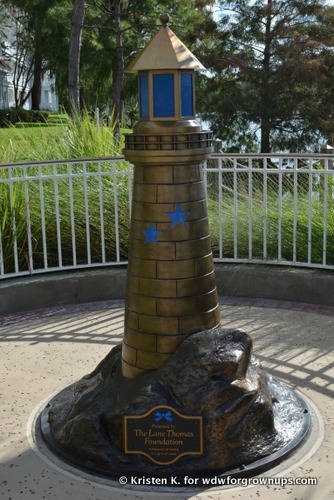 The small memorial lighthouse pays tribute to the 2-year-old boy killed by an alligator while playing near a lagoon on its property back in 2016. In response to the tragic death Walt Disney World's waterlines were changed forever, removing the gradient beach entries, adding wildlife signage and barrier fencing. The changes, however, weren't enough when it came to honoring the precious life that was taken. The Walt Disney Company erected the subtle memorial near where where Lane Graves was attacked. The plaque on the installation honors Lane by bringing attention to a Foundation that was created to preserve his spirit, the Lane Thomas Foundation. Lane's family celebrates his memory through work to help other families in need.